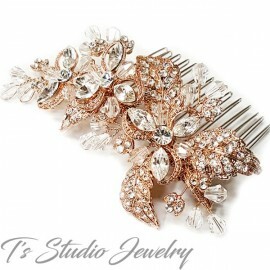 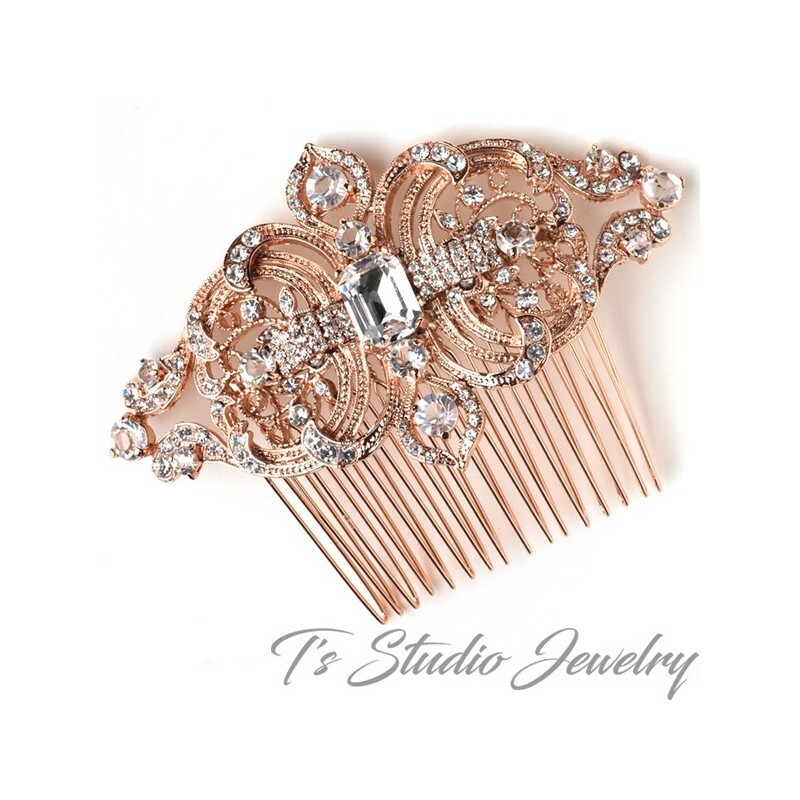 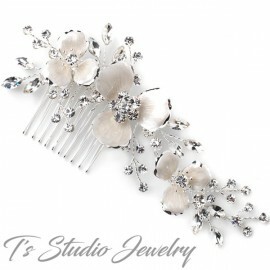 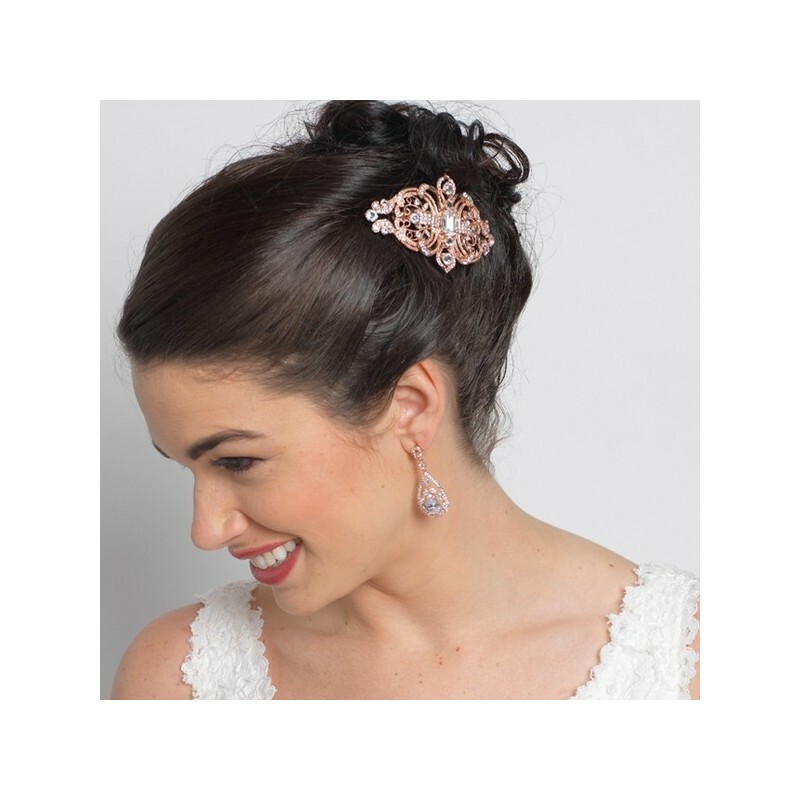 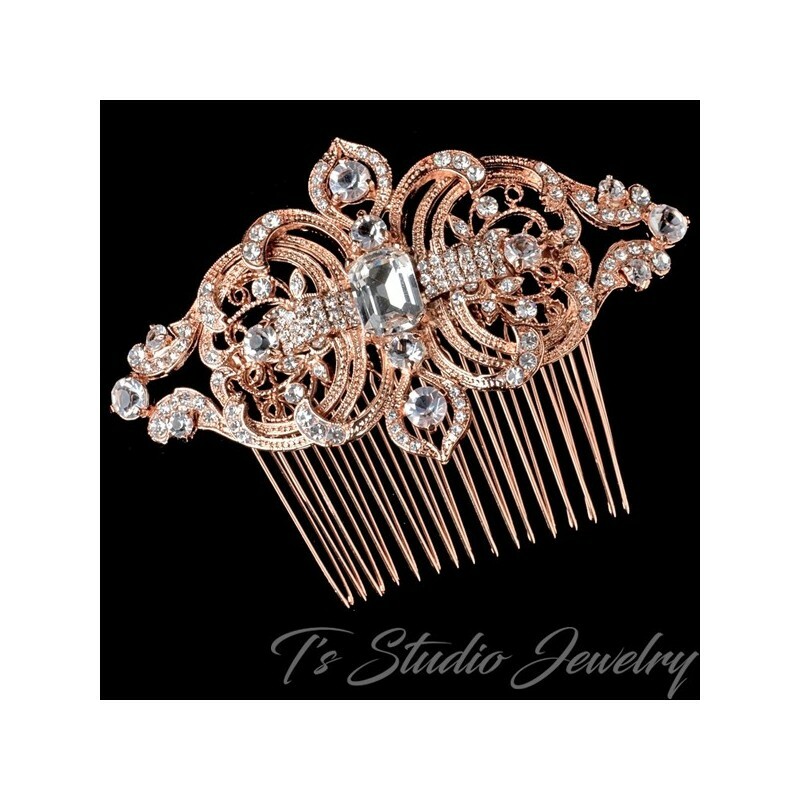 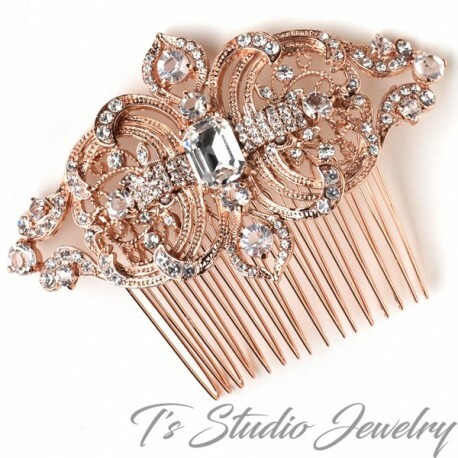 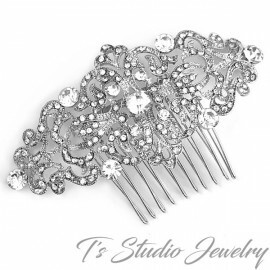 This stunning royal rose gold plated vintage rhinestone bridal hair comb is a stunning majesty style ornament, featuring elegant swirls and leaf accented details. 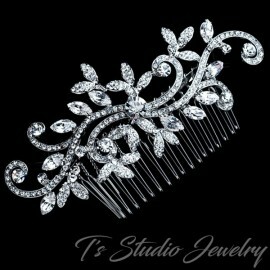 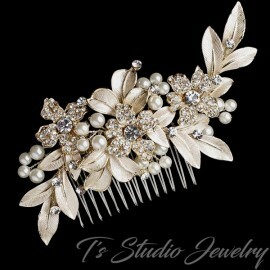 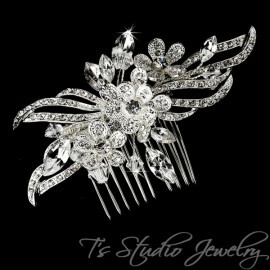 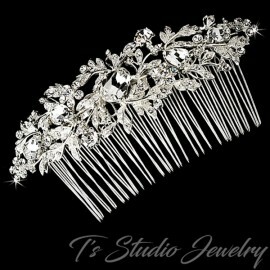 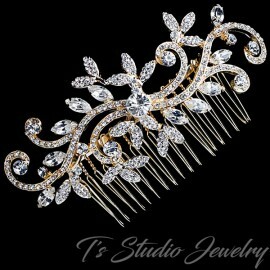 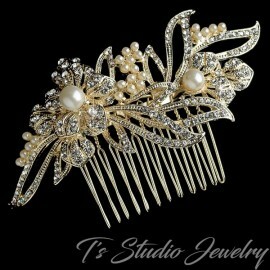 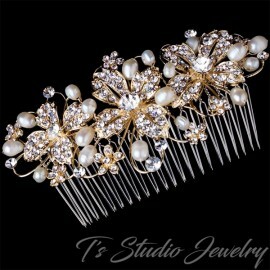 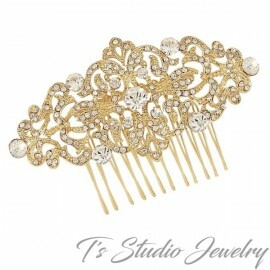 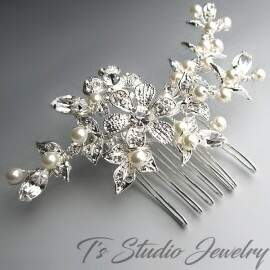 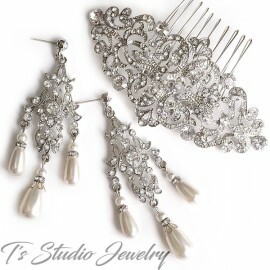 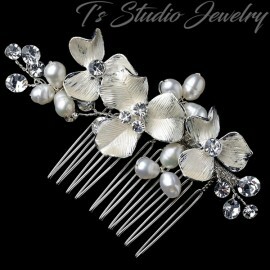 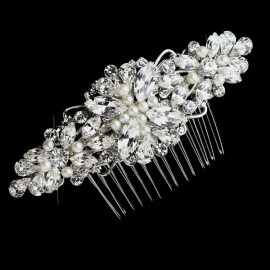 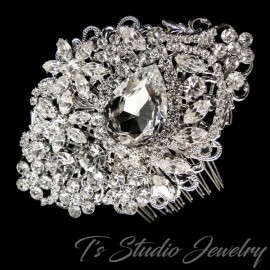 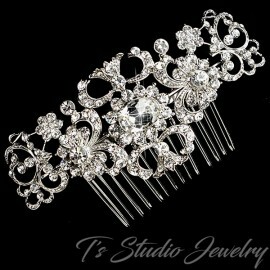 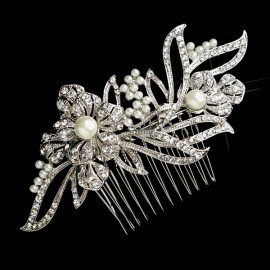 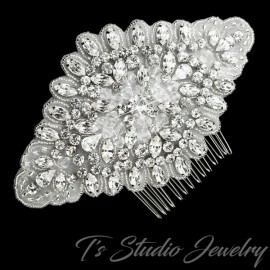 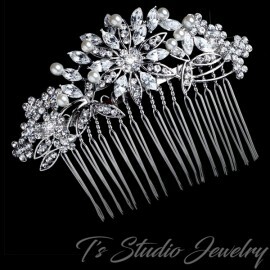 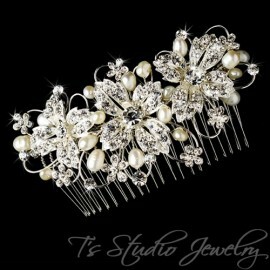 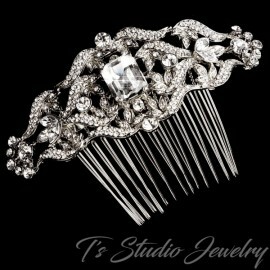 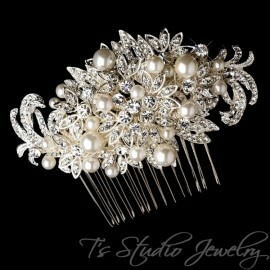 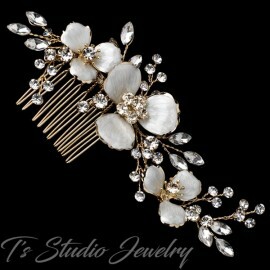 This comb looks exceptionally gorgeous on the side or back of an up do, or half up half down hair style. 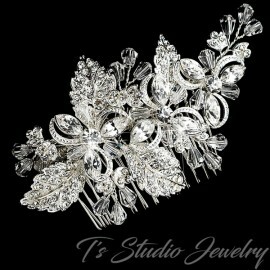 This magnificent radiant sparkle is delivered from the light capturing encrusted rhinestones, that will glisten during your ceremony and reception.